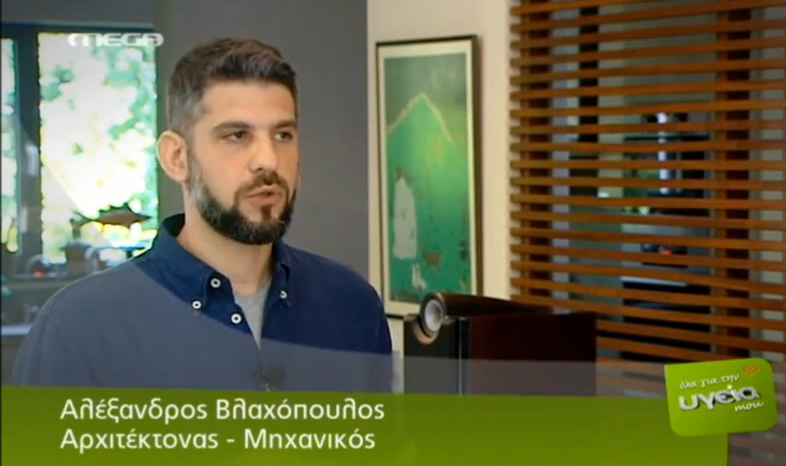 Upon an invitation from the “Ola gia tin ygeia mou” weekly health show on Mega TV, Alex gives some tips on making your house a bit cooler this Summer. Our thanks to the Mega TV crew for their professionalism and positive attitude. The interview took place in our Single family House in Chalandri project.